On June 23, 2016, the nation’s highest court determined that a breath alcohol test is NOT invasive and is a legal search incident to a lawful arrest for driving under the influence under the Fourth Amendment. This ruling, in Birchfield v. North Dakota, clarified a good bit of contradictory and confusing prior rulings by the U.S. Supreme Court. This decision came shortly after Missouri v. McNeely in 2013, that blocked the state of Missouri from getting blood involuntarily, without a judicial warrant. Under this new ruling by the Supreme Court, a citizen under arrest for DWI or DUI alcohol can be requested to submit to a state breath alcohol (breathalyzer) test to check BAC amounts or risk harsh driver’s license consequences. Plus, in about a dozen states, state DUI laws make refusing to submit to breath tests a CRIME and call for a person with a DUI refusal (after being convicted) to be put in jail or prison and fined for the “refusal” to submit, or BOTH. The 2016 decision in Birchfield approved of that type of law for breath alcohol testing but distinguished blood collection as being a more invasive test. Two earlier high court decisions, Schmerber and Breithaupt, seemed to put the legal emphasis on metabolization of alcohol and how it dissipates from the driver’s body. The new Supreme Court ruling does not bode well for people who drink. A person cannot get rid of alcohol breath for a long time after alcohol is consumed. The detectable odor of ethanol (drinking alcohol) or its metabolites (burn-off products) like acetaldehyde, stay on the drinker’s breath for as much as 12 plus hours. Many people get arrested after waiting an hour or more following their last drink because they lack training and education about alcohol metabolism and how much time is required until your body is alcohol-free. Some people are arrested the next morning on the way to work. The smell of alcohol as circumstantial evidence of recent consumption can lead to a drunk driving arrest on little evidence of impairment in many alcohol-based DUI cases. This is true even if the driver declined to blow into the alcohol breath tester a law enforcement officer seeks to use on the roadside. Any alcoholic beverage such as Scotch whiskey, beer, or grain alcohol, can make a person’s breath smell like alcohol for many hours. A scientific explanation for the lingering “alcohol on the breath” problem is simple. First, even though alcohol can be consumed quickly, it cannot be “burned off” (eliminated) fast. The rate of burn-off is about 0.015 grams per hour. So, if a person drank enough to reach a 0.18 grams breath alcohol content, the alcohol would require about 12 hours to metabolize. Even then, the smell of alcohol breath byproducts may last another couple of hours. How Do I Get Rid of Alcohol Breath? No magic exists for getting rid of the alcohol from your breath. Enough time must pass for the liver to process all the poison in your system (yes, alcohol is a poison) and convert the poison into less toxic byproducts. One of these byproducts, acetaldehyde, smells close to alcohol breath and a police officer may mistakenly accuse you of being intoxicated from alcohol when your breath alcohol content has reached zero. Many myths exist about how to hide the smell of breath alcohol. Since 60% of all Americans drink regularly and annual DUI arrests in the USA averaged over 1.6 million from 1991 to 2006, it is apparent that the “tricks” do not work very well. DUI-DWI arrests have dropped in recent years, due to the emergence of the cell phone, app-based “ride sharing” services that are on the verge of making traditional taxicab service a historical footnote. Wait until your BAC is zero. If you need to look at an easy-to-follow BAC calculator, this chart is quick and easy to understand. Take a shower AFTER all alcohol has left your body. If you shower too soon, the odor of alcohol will ooze from your sweat to some extent. Floss and brush your teeth thoroughly. Getting rid of alcohol breath entails scrubbing out any particles of food that may be saturated with your alcoholic beverage. Don’t use an alcohol-based mouthwash as it can reintroduce alcohol breath. Chew some gum to increase saliva flow and freshen your breath. The gum may help mask any lingering odors from acetaldehyde. What If I Follow These Steps, but I’m Asked to Take a Breath Alcohol Test? Remain silent. The police officer is only entitled to know your name and address. When agreeing to take the breathalyzer test, advise the officer of your desire to get an independent blood alcohol test after the state’s test. The independent test should be allowed, but you must pay for it, so be prepared. Once you have taken the officer’s breath alcohol test, explain that you want an attorney present and that no questions will be answered without having an attorney with you. People can be accused of drunk driving in situations when they have not committed any traffic violation. In every state, a driver who is asleep in a vehicle on a highway or shoulder of the road that is part of the right-of-way will be investigated by a law enforcement officer. Police have the right to assure public safety as part of “community caretaking.” Asking if a driver is all right is part of that job. 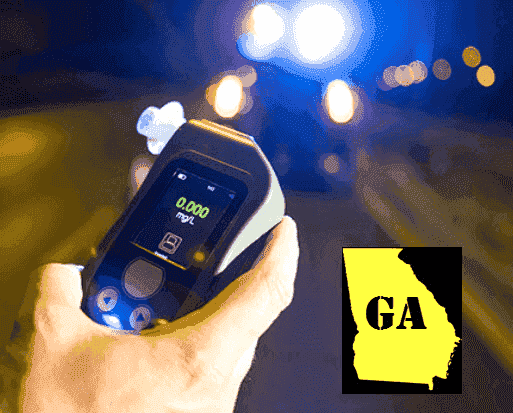 In some states, like Georgia, police can arrest a suspected drunken driver for DUI even if he or she is on private property. Other states are not quite willing to give police such authority, but parking lots of restaurants and other businesses are usually “fair game” for patrolling police officers. What About DUI Checkpoints? 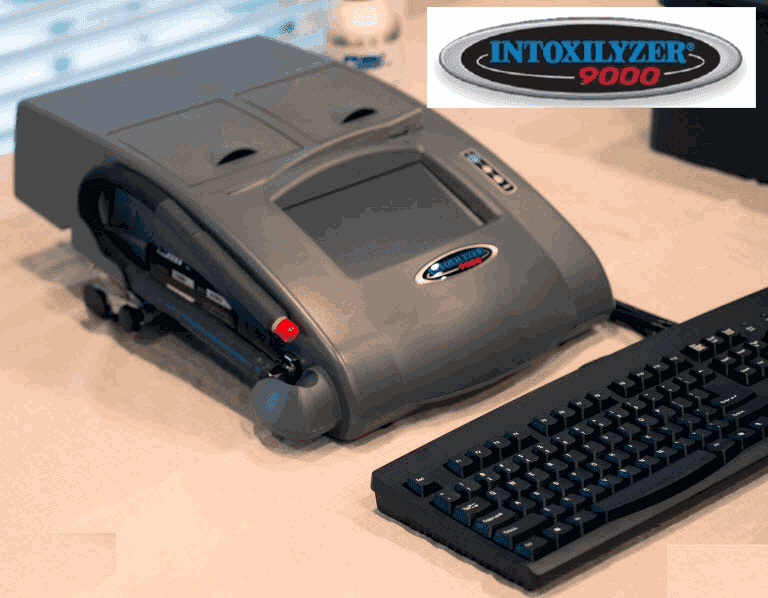 Will the Odor of Alcohol Justify a DUI Arrest? Another time police MAY encounter a suspected DUI driver is at a DUI checkpoint. Police roadblocks are legal in about three-fourths of all states, and the District of Columbia. At a roadblock, an officer will ask you to roll down your window to show your driver’s license, insurance, and possibly your registration. In states that approve DUI checkpoints, this can lead to an officer claiming you are DUI. Only crack the window an inch or two and slip the needed license and paperwork out the crack. Your door should stay locked because some officers will pull your door open. If you are threatened with forcible entry or arrest, roll down the window before the officer breaks it out. Leave your door locked unless you have been ordered out of the vehicle. If ordered out of the vehicle, say nothing and DO NOT DO field sobriety tests—NONE. Ask for a lawyer, and slowly raise your hands to show submission. If arrested, remain silent. Go back and re-read the three tips about submitting to the alcohol breath test and demanding both an independent test and a call to your attorney. Don’t settle for just any DUI attorneys near me. Speak to Bubba Head, the criminal defense lawyer whom those in law enforcement and people who work within the court system routinely call when their friends and family members are facing a DUI offense. The veteran criminal defense attorney Atlanta and his two law partners Larry Kohn and Cory Yager (who have been with Mr. Head since graduating from Law School), have handled well over 10,000 Georgia DUI cases in the last 25 years. For a FREE analysis of your criminal charges, please complete our online case evaluation form. Call DUI book author and highest lawyer ratings Atlanta DUI attorney Bubba Head or his Super Lawyer partners at the DUI law firm today and get honest answers to all your questions. Tell us everything that happened and everything you remember about your DUI arrest. The sooner you call us, the better chance we have to win your case. Remember, you only have 30 DAYS to file a license suspension appeal or apply for an ignition interlock device or your driver’s license will be suspended for up to one year! Talk to Bubba Head, Larry Kohn, or Cory Yager now. Our criminal lawyers are available 24 hours a day, weekends, and all major holidays. Call 404-567-5515 now. Don’t just guess at law practice skills and select a cheap DUI lawyer from the law firms near me. You would not use such poor judgment in hiring a surgeon. Call 42-year veteran Atlanta DUI attorney Bubba Head today and get honest answers to all your questions. Tell our lawyers in Atlanta everything that happened and everything you remember about your DUI arrest. The sooner you call us, the better chance of success for our criminal justice attorneys. Our goal is to win your DUI case or get your DUI charges reduced to reckless driving or dismissed. Remember, you only have 30 DAYS to file a license suspension appeal or apply for an ignition interlock device or your driver’s license will be administratively suspended for a one year! Talk to Bubba Head, Larry Kohn, or Cory Yager now at 404-567-5515. Our law firm’s DUI attorneys are available 24 hours a day, weekends, and all major holidays. The author’s Google Plus link: https://plus.google.com/+WilliamCHead. Traffic Laws and DUI CHANNEL: https://www.youtube.com/user/duimaven. Special credentials: Board Certified in DUI Defense by the American Bar Association, Martindale-Hubbell 5.0 ratings, and “av preeminent” highest possible rating for ethics and skill. Link to our Super Lawyers pages: William C. Head, Cory Yager and Lawrence (Larry) Kohn.